If you are an avid blogger giveaway person, you have seen other giveaways for GourmetGiftBaskets.com. If you are one of the lucky ones, you have won or you found out what a great company they are for gifts to your family and friends and special occasions. What I like about GourmetGiftBaskets.com, is the incredible selection of gift baskets but did you know that they also have amazing baked goods? 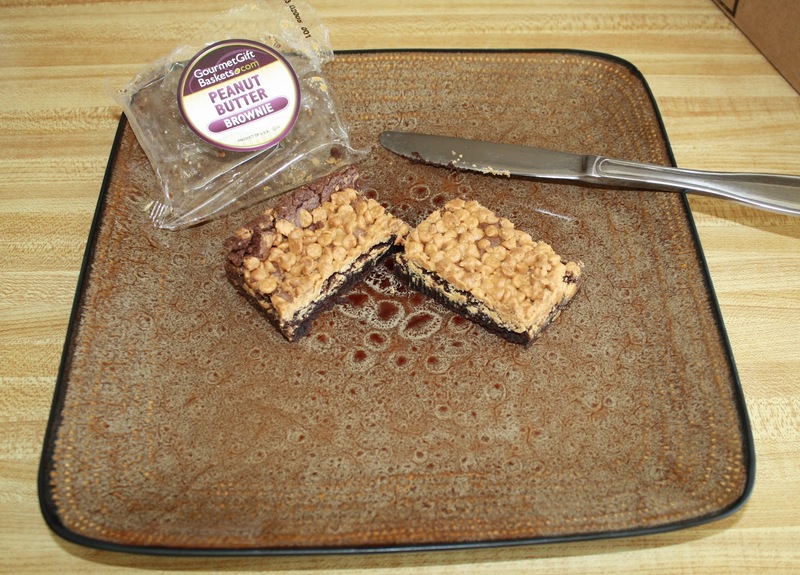 I didn't know either until I joined in for this delicious review and giveaway for a brownie sampler. I confess that I'm a huge brownie fan ... almost as big as my obsession with Johnny Depp. I know a good brownie and haven't had a good brownie in some time. To be honest, I was a bit skeptic because I keep getting let down on a delicious, stop you in your track brownie that I didn't think they would deliver. I was immediately corrected. I received the box of six fresh flavors and then the problem hit me. Which one do I eat? Do I eat them all? Do I share them to have more feedback? Oh, so many decisions! I thought about it for a brief second as I broke open the Belgian Chocolate Chunk brownie as it was begging me to choose him. I poured a glass a milk and took a bite and it was truly heavenly. Moist, rich but not overly rich, chocolatey and truly decadent (by the way, my oldest dislikes that word after watching a chocolate baking show use it in every sentence). This was one of the very best brownies I ever ate and was certainly the best one I had ate in a very long time. I shared one bite with my youngest. I ate the rest without advertising it because I wanted it all to myself. Yeah, I know, I'm stingy but I did share two with them so they were able to pick which one's they wanted. Next on the chopping block was the Cheesecake brownie. Again, full of robust chocolate flavor with a hint of cheesecake. I like a strong cheesecake flavor but this was amazing! Again, fresh and moist and if I had popped it in the microwave for a few seconds, I wouldn't have been able to tell it wasn't fresh out of my kitchen. The sizes are amazing too! You really could share this, eat as two snacks or be like me and devour and savoir it all at once. Next was the White Chocolate Macadamia Blonde brownie. If you like or love macadamia nuts, you will love this! The flavor of the nuts are perfect and I don't recall a bite that I didn't have a piece of the macadamia nuts and they were whole nuts. The white chocolate was subtle and altogether, a perfect gourmet mix. My youngest tried the Fudge Walnut and all I heard was "mmmm" and "yummy!" The Peanut Butter brownie was next and as you can see in the photo above, they are good sized and after I cut it, you can see the moist inside because it stuck to the knife. Every brownie was fresh, moist and delicious. Now for the giveaway, one reader will receive the same sampler as I did of one each of the six varieties. To enter, please use the Rafflecopter form. Due to the brownies being perishable goods, the giveaway is only valid for those in the lower 48 states (sorry!). 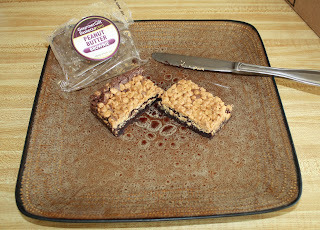 *Disclaimer: I received a complimentary sample for this review and the items for giveaway from GourmetGiftBaskets.com. The opinions are of my own. I entered your Amazon gift card giveaway and your Newman's organics giveaway. entered Big G cereal giveaway. I entered the Pong giveaway! I entered Amazon $25 Gift Card. Entered the $75 Amazon Card giveaway! I entered the Ficklets 5 year anniversary.